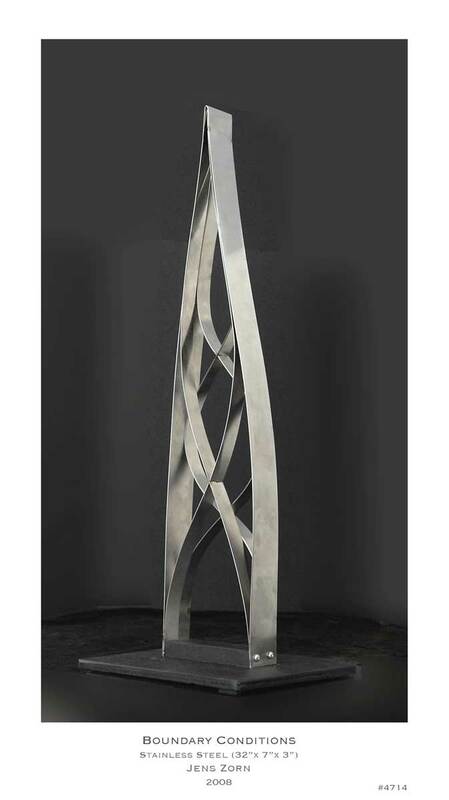 This steel sculpture depicts eigenfunctions defined by zero value at one boundary, by zero slope at the other. Designed for Miami University in Oxford, Ohio, the sculpture celebrates the success and lasting importance of George Arfken’s classic text Mathematical Methods for Physicists, a book that originated as notes for his lectures at Miami and that is still a standard text, world-wide, fifty years after its first publication. Approval for this project, as an eight-foot outdoor installation, was given by the appropriate Miami University committees at a time when their physics department was preparing to move to a new building. It remains to find the necessary funding.